Tokyo-based designer Tomo Koizumi showed at NYFW tonight for the first time, and what an outing it was. 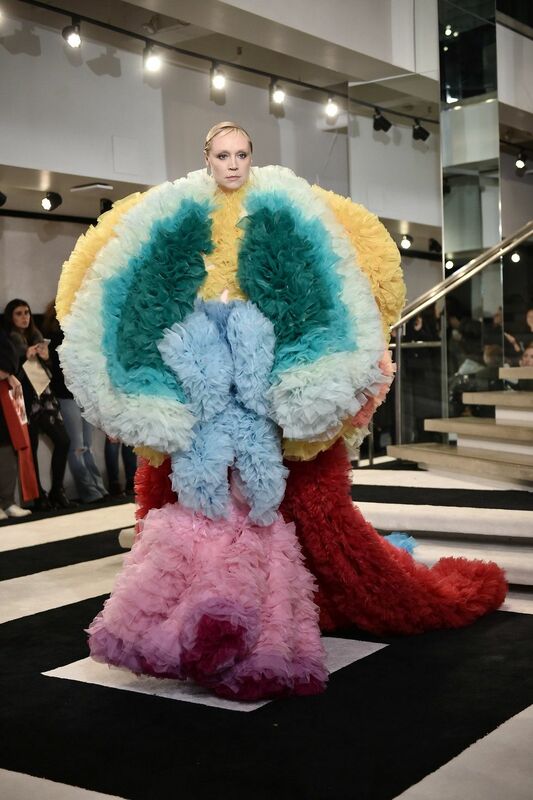 Koizumi, whose fluffy confections have been endorsed by the likes of Lady Gaga, had some powerful collaborators in his corner–the show took place at Marc Jacobs' Madison Avenue store, and featured styling from Love founder and editor-in-chief Katie Grand, makeup from the legendary Pat McGrath, and hair by the esteemed Guido Palau. And the casting was truly next-level. Nearly every supermodel you could imagine walked for Koizumi, including Karen Elson, Bella Hadid, Joan Smalls, Taylor Hill, and our own PAPER cover star Emily Ratajkowski. Actresses Rowan Blanchard and Gwendoline Christie also took to the runway. There was so, so much screaming. Between the star wattage and Koizumi's stunning, otherworldly work, we'd predict big things ahead.